A fantastic bundle for the urban plus pack! new urban plus pram & pushchair travel system, urban colour pack, practical adaptor for car seat and chicco autofix-fats car seat all included in one box! the new urban plus is a fantastic pram & pushchair travel system with a new stylish black coloured chassis and a modular system. urban is versatile, with a reversible seat that is easily transformable into a semirigid carrycot to live city life in total freedom! the semirigid carrycot can be easily detached from the chassis and positioned on a plane surface. urban is suitable from birth to 15kgs max/ 3 years. you can further choose from 4 colour packs (sold separately), and add the colour you like to the seat unit! colour pack includes the hood, soft padded seat reducer, pram apron and leg cover, safety harness pads. the urban features a simple way to switch the reversible seat. seat unit can be reclined in 2 ways, just backrest reclines or whole seat unit swings with 3 positions. 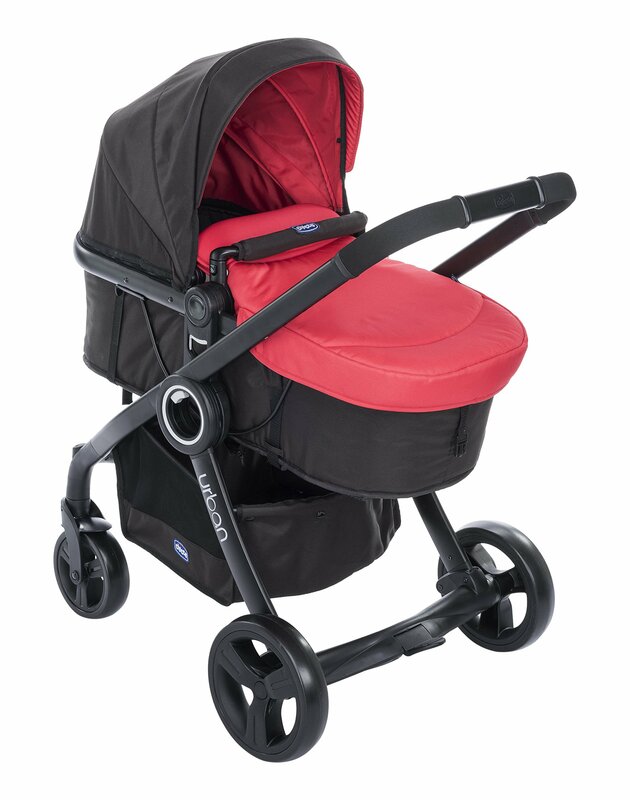 it comes with a padded comfort liner which zips into the seat unit in pram mode. the colour pack includes the pram apron which can also be used as a leg cover for pushchair mode. the wide and protective canopy is used in all configurations. the seat also has an adjustable leg rest and removable bumper bar. the chassis has lockable front swivel wheels, all round suspension and linked rear brakes. the 4 position handle is easy to operate with one hand. it comes with a large shopping basket that is easy to access in all modes, and a raincover. new closing system permits to fold the chassis and the seat unit when together. the chassis is compact and light when closed and features an integral carry handle. turn the chicco urban into a practical travel system using the car seat adaptor accessory. remove the pushchair seat unit and the adaptor fits easily and simply to the chassis. the adaptor is design to allow secure fitting of the chicco auto-fix fast group 0+ car seat (sold separately), suitable from birth to 13kgs, using its integral clik clak system. Urban pram & pushchair travel system, colour pack, car seat adaptor and autofix-fast car seat all in one box. The seat unit can be turned into a semi-rigid carrycot for pram mode. Can be used with different colour packs that include: hood, safety harness pads, pram/apron leg cover and seat reducer. The seat unit folds with the new black coloured chassis. Padded lining for pram mode and raincover included.